By contrast, look at how civil ceremonies take place in Los Angeles. If Kira was already here, she and I could have applied for a marriage license online, then within two weeks, go to the LA County Clerk’s office in Van Nuys to pick up the license, have a ceremony shortly afterwards, then have our marriage certificate within 20 days after requesting it. Other cities may have similar processes and wait times. Manila is definitely not one of them. As soon as we learned that it could take months to get the marriage certificate that we needed for her petition, we knew that getting the certificate as soon as we wanted would require some key things: direct action on our part, continuous follow-up, extensive research, and lots and lots of luck. To this day and forever from now, I am and will be grateful to Kira for braving the extended, crowded train rides, traffic jams in stuffy cabs, and the exhausting long lines at the civil registrar’s office in Manila and the NSO Serbilis Center in Quezon City to get our marriage certificate. I would have been there side by side with her if I could have, but I am thankful everyday to be with her now. When Ray went back to the US days after our early December 2013 the wedding, the distance and the sadness of being away from each other made us so intent on immediately processing our petition papers. But in order to get started, we needed our NSO marriage certificate. Calling the NSO hotline, I found out that new civil documents such as birth and marriage certificates only became available for request at the NSO Serbilis Centers after six months. I tried making a request anyhow, but they issued me a “negative certification of marriage” as per their January 24, 2014 records. Ray and I were disappointed with the length of waiting time. By our standards, this was equivalent to 10 lifetimes of separation so we agreed that we would do everything legally possible to speed up the processing. In trying to find ways to get the marriage certificate in less than six months, I discovered that it took that long to process because it went from one office to another before reaching the NSO main office, the repository of all civil documents that will be printed on NSO security paper. In our case, it went from the Supreme Court, where we got married, to the Manila City Civil Registrar since the marriage took place there. From the registrar, it was transmitted to NSO Manila that finally forwarded the document to the main NSO Civil Registration Department (CRD) located in Quezon City. Friends who had church weddings said processing a civil marriage certificate was supposed to be shorter because unlike churches, court offices submitted marriage certificates immediately.That we got married in Manila, which was very near the QC CRD was also supposed to mean that transmission would take place right away. Even though our circumstances looked promising, we still did not want to leave the availability of our NSO marriage certificate to fate. I started by trying to follow up at the Manila City Hall by mid-December but aside from the apparent Holiday spirit invasion, at that time their website and phone lines were down. I went as far as tweeting the city mayor and vice mayor about this, but neither responded to my inquiry. I then asked an acquaintance who worked at the City Hall for assistance, but instead of referring me to legitimate channels, he told me we could either pay a fixer P5,000 and the fixer could process it in two months, or I could do everything myself without the guarantee of shortening the processing time. As tempting as this was, it was important for me to know that my government worked especially since I was immigrating. In January 2014, I directed all my effort and energy into the goal of acquiring our NSO marriage certificate. I researched and learned tips and ways to shorten the process legally because we decided to be hands-on. We were rewarded with the release of our marriage certificate in two months instead of six! 1. Process everything in person. b. Make a personal request of a certified true copy of the marriage certificate and a certified true copy of the marriage certificate printed on security paper at the civil registrar’s office. The certified true copy will come in handy when you go to the NSO Serbilis Center to make a request for an NSO copy. In the absence of an NSO marriage certificate, the Department of Foreign Affairs (DFA) will honor the certified true copy of the marriage certificate printed on security paper for passport renewal. The Commission on Filipino Overseas (CFO) also acknowledges this document in the absence of an NSO marriage certificate and you can present it so that you will be allowed to undergo the guidance and counseling session. You will receive a certification after attending the session. This certificate is a DFA requirement in renewing a passport if you are married to a foreign national. Spouses and fiances/fiancees are not allowed to leave the country without a sticker from CFO. Helpful tip: I met a woman who did NSO-related errands for family and friends at the Serbilis Center and she told me that peak season was after college graduations when fresh graduates request NSO documents for job applications. But for some reason, there were so many applicants when I went to request in January 2014. I arrived at the Serbilis Center at around 9:00 a.m. so I was number 5485 in line and I had to wait for hours for my turn. Going earlier like between 6:00 and 7:00 a.m. decreases your waiting hours. c. Request proof of the NSO transmittal of your marriage certificate. This was not applicable in our case because I was told that NSO Manila picked up the documents from the Manila civil registrar every week so they did not have a documentation of transmission. When I asked what other option I had to track the transmittal, they gave me the direct line of Sir Jing (02-716-7911), who they said was in charge of picking up civil documents from Manila. When I called and asked for him, he was kind enough to look for the batch number and date that the CRD NSO of Manila received our marriage certificate. d. Equipped with a certified copy of the marriage certificate and NSO proof of transmission/details of transmission, make a personal request at the Census Serbilis Center in East Avenue, Quezon City. You need ID as proof that you are requesting access to your own public records. They usually schedule a pick-up date after two weeks. 2. Get married in your hometown - Getting married in your hometown means that people are friendlier and more helpful. It also means that you are most likely related to someone from the civil registry and that person can help you fast-track your marriage certificate processing. From the processing of our license, it would have been more advantageous it we did it back home in Bangued since a license could be used anywhere in the country anyhow. However, we were pressed for time and we wanted it done as quickly and as privately as possible. When I attended the required CFO counseling, I learned that other spouses who got married in their hometowns did not encounter my difficulties because they only needed to make simple verbal requests and either parish staffs or friends and relatives at the civil registry took care of everything. You will still need to go to the Serbilis Center in East Avenue to make a personal request. You will need a copy of the endorsement letter and marriage certificate along with the courier receipt or transmittal receipt. Kami din hay nako antagal din 3months sabi sa amin ng ninang ng asawa ko sa manila cityhall. Kailangan na sana un agad para maasikaso ng asawa ko sa japan. Naku kailangan mo talaga ng maraming tiyaga at ang maging makulit. Sana nakatulong itong blog sa inyo at maging maayos ang pag proseso ng mga papeles ninyo. Good luck! Hi, would the transmittal number be enough if i go to NSO office and ask for my marriage cert? Can you please enumerate 1 by 1 what to i need to bring to sirbilis NSO office. This would really help me alot. I really want to be with mu husband soon. Being away with him is really painful everyday. If you can get copy of the transmission form instead of just the transmission number, this will help more, Carmela. It won't hurt to bring a copy of your original marriage certificate signed by the city/municipal civil registrar too. In our case, there was no proof of transmission because NSO Manila picked up documents at the city hall so what we used to follow up was the batch number and the date that it was received by the NSO Civil Registration Department (CRD). We hope your petition goes smoothly! Hi! Ask ko lang if okay na ako magrequest ng marriage certificate after 3 months? We got married August 20 but the local marriage certificate was registered at the city hall September 7. And yes they clearly stated that I could request a NSO marriage cert after 3 months which was Dec 7 2015.. But Im not sure about this.. Me and my husband are really anxious about it..
Hi Nina, if you want to make sure, check with your local registrar's office if they have already sent your marriage certificate to NSO. Get a copy of the transmission and attach it to your request when you go to the NSO Serbilis Center. However, if you are calling the NSO hotline to make a request in less than six months after you got married, NSO will usually tell you that they can't guarantee that it's in their system yet. I hope you get your MC soon. Hi Loveonexcel.com, I'd like to ask if may form ba un request or it's a letter of request that I need to write. Your response is highly appreciated. Jed, if you are referring to requesting for the NSO marriage certificate at the Serbilis Center then yes, you will be asked to fill up a form so that you can give them the correct information so that they can process your request. Ano po ba ang dapat kong gawin asap. Habsty, sorry for late reply but I hope you finally received your marriage certificate. It can take a while to contact their hotline but maybe you can also find out if you can follow up through email. Ask ko lang po , i got married last october 9 2015 , november 6 2015 pumanta ako sa municipal at nakuha ko ang marriage certificate ko , sabi nang nasa office mag request daw ako sa Nso para maka kuha ako ng copy from NSo after 1 month (december) so I did ,, then after 1 month pumunta ako sa Nso iligan city to get my copy but the girl inside told me na wala pa daw record sa computer yung kinasal sa october kc nag offline daw ang nso manila nung July pa so next year ku na daw balikan 😒 nakalimutan ko magtanong kung anung month na pwede na magkuha 😒 i don't have any idea about this foreigner yung husband ko and he want me to go witb him right away but sad to say its not easy to do the papers .. It usually takes six months before the NSO copy becomes available at NSO Serbilis Centers unless you personally follow up (see tips in the entry above). Hello, Vin. You can probably also fast track it but I'm sure the procedure would be different. You may want to check the Philippine consulate website in the country where the marriage took place and find the requirements for the registration of overseas marriage. Hi po...after po ba ng transmittal malalaman ko pa ba agad wen mkuha ung Nso official marriage cert. Hi, Daisy. There's no other way to find out than to personally follow up at a Serbilis Center after a week or two. You should bring the transmittal form with you when you make a request/follow up. You may also want to call up NSO/check their site for more details. Hello, Genjie. We know of two reasons why a marriage would be invalid- one is that either your mom or stepdad is married to another person or their marriage certificate was not properly processed (meaning the church/court did not submit a copy of the certificate to the local registrar or the local registrar failed to provide a copy to NSO). If neither parent is married then you can request the local civil registrar to resubmit/retransmit the marriage certificate to NSO. We hope you resolve this issue. Hi Fahad. Yes, you can get the transmittal form/proof of NSO transmittal from your registrar's office. Your municipal registrar should also be able to assist you on fast-tracking the processing of your NSO marriage certificate. hello po. i am still new to this and marami po akong info na hindi masyadong maintindihan.will aprreciate your guidance po. i got married mar12,2016 in quezon city.sinubmit po yung requirements sa QC hall march 28. gusto ko den po sana mapabilis ang pagreceive ng NSO certificate at nagresearch po ng info about "endorsement". tumawag po ako sa QChall at ang sabi nila sa akin april 11 kukunin ng NSO yung requirements ko so pumunta daw po ako ng QC hall on april 13 para mapa endorse/mapabilis ang pag receive ko ng NSO. tama po ba? In my case, We got married last July 15, 2016. Tas kanina, kumuha ng endorsement ang daddy ko sa city hall together with the marriage contract from civil registrar, pinaLBC sa kanya yung documents sa NSO office at sinabi daw sa kanya na ifollow up after 15 days, kasi possible available na yung NSO copy. Kelangan ko rin yun for CFO seminar. Hello to you too. It seems that a city hall employee has been kind enough to assist you already. Just make sure you got his/her name so that you can look for that person when you head to the city hall to get your endorsement on the 13th. Hello Edelyn, in our case we used our marriage certificate issued by the local city registrar which was printed on security paper (SECPA) with NSO (PSA) authentication at the back. If you don't have the NSO copy yet, request for a copy printed on SECPA from the city/municipal registrar. The processing shouldn't take more than 7 days (some cities actually even issue it on the same day). According to the DFA website, married women applying for a passport are required to submit a "Marriage Contract (MC) in Security Paper (SECPA) issued by the Philippine Statistics Authority (PSA) or original and photocopy of the Certified True Copy (CTC) of MC issued by the Local Civil Registrar (LCR) and duly authenticated by PSA. Transcribed Marriage Contract from the LCR is required when entries in PSA Marriage Contract are blurred or unreadable." Hi Caren, please read the blog entry above for tips on speeding up the processing of the NSO marriage contract. All the tips are already written above. Best of luck! Thank you for your blog!! Very helpful. I just got married last April 9, and starting the process of my petition noW.I'll be reading more of your entries. You're welcome, Sugar. We're glad to help. We wish you the best of luck in your immigration journey! I got my NSO now PSA certified marriage contract in 3 weeks! Working on our CR1 and CR2 for my daughter. We had our 1st day of medical exam yesterday. Going back again later. Hoping to get the immunization later, as well. Interview on Oct.19. I can't wait to be with my hubby!! Thanks for sharing all your experiences and all in this blog. It helped me a lot! The transmittal form is for when you want to request an NSO/PSO copy of your marriage certificate at a Serbilis Center. thank you for sharing! very helpful po God bless u!! Hello po! Good evening po ulit. Nag sulat po ulit ako kasi doon sa isang thread po ako nag comment baka po hindi niyo mabasa. Ang tanong ko lang po is pwede po ba ang Certified true copy ng Marriage Certificate sa U.S Embassy po??? Kasi nag punta po ako kanina sa Civil registrar dito sa Davao sabi po kasi sa akin after 1 year pa po magkakaroon ng NSO copy ng Marriage Certificate namin. Eh, malapit na po kasi yung petition ko, baka po hindi pwede. I'm from Davao po. Baka po kasi iba ang process po diyan at dito sa amin kasi naguguluhan na po ako at nag aalala po ako baka hindi ko ma process on time ang mga papeles ko at ma delayed po ako makapunta ng U.S gusto ko na po talaga makasama husband ko po. Sana matulungan niyo po ako. Maraming salamat po! God bless. Hello Mitzel, apologies for the late reply. The petition requirement specifically requires the NSO copy of the marriage certificate, not a certified true copy. Please refer to our tips above on how to speed up your request. Good luck! 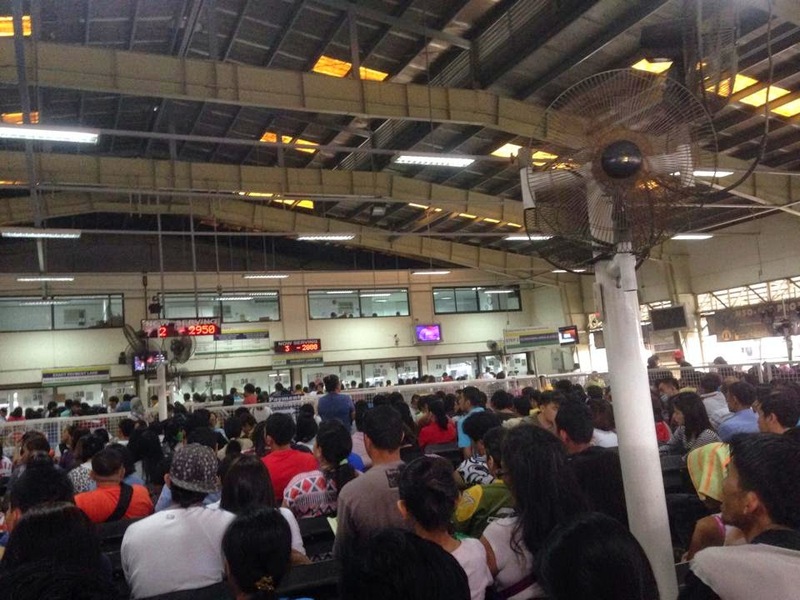 Idadag-dag ko lang din po, kanina po kasi nag punta ako sa Local Civil Registrar namin dito sa Davao kung saan po kami nag file for marriage, tapos ang sabi po sa akin nung officer sa main daw po ako mag punta sa City of the Civil Registrar. Nag punta po ako tapos nag request po ng "For electronic Copy" ng Marriage Certificate namin. Tapos nun ang sabi po nung babae, di na daw kailangan kasi okay na daw, hindi ko po alam kung anong ibig sabihin nun tapos ang sabi niya po "for certified true copy" na po raw yun. Tapos tinanong ko po siya kung kailan po ba magkakaroon ng NSO copy ng Marriage Certificate namin, sabi po niya after one year pa raw. Eh, nabahala po ako kasi malapit na po yung petition ko. Sana po matulungan niyo ako. Naguguluhan po talaga ako. Salamat po ulit! I got married July 1st and endorsed our marriage certificate with the marriage license at my hometown city hall July 7th. They gave me back my copies of documents with a claim stub attached to it saying i should go back to city hall July 11 to get the tracking number and date of release of our NSO marriage certificate. The release is on July 22nd. So 2 weeks lang. Importante tlg endorsement. Before i did all of this ngResearch tlg ako and ngDouble check sa city hall if paano gagawin pra maFast track. Good thing i did. Hassle free. I just had to pay 500 php for some paper fees and 200 for LBC to NSO. Hope this helps. Mahirap malayo ng matagal sa asawa lalo na at kakakasal pa lang. We're glad everything worked out for you Yedz. It does pay to be resourceful. Good luck with your petition! Hi, Jennifer. As we've mentioned in the entry above, it usually takes 6 months before NSO can issue a copy of your marriage certificate. However, you can lessen the waiting time by doing some of the tips that we also mention in the entry above. Good luck! I hope you're doing okay and thank you for the very informative blog above. I am from Lipa City and got married last April 24, 2016. "...or original and photocopy of the Certified True Copy (CTC) of MC issued by the Local Civil Registrar (LCR) and duly authenticated by PSA." My question is, where PSA/NSO office can I apply for authentication of my LCR certified true copy of marriage certificate printed on secpa? Is it in NSO Main Office Civil Registration Department in Quezon City? Hello, May. In my case, I was able to request a copy of my marriage certificate printed on SECPA and authenticated by the NSO from the civil registrar's office. You can also use this to change your last name when you apply for a new passport. In case you want the NSO copy, the process also starts at the civil registrar of the city or town where you got married. We have elaborated the steps on the entry above. Good day po Ma'am, mag aask lang po sana ako. I got married last june 10 this year after our wedding naissuehan po kami ng ctc ng marriage cert with registry number tas original cert without registry number. Okay lang po pa un ang isubmit for visa application since hndi pa nman mairelease ang nso copy? Thank you po. Mervin, if you are applying for a US visa as a spouse of a US citizen, the requirement is the NSO marriage certificate. I would assume that other countries also require the NSO copy. Hi po! Tanong ko lang po sana kung available na sa NSO marriage contract namin kasi kinasal po kami feb. 18 this year. 6 months napo this month. Thankyou po. Alegrine, the 6-month waiting period sounds right. Please be reminded however that we are not the NSO so it is still best to make a phone or in-person inquiry. My wife and I got married last August 6 sa UP Bonsai garden sa Diliman. When our church tried to file our certificate, ayaw tanggapin ng Quezon City Hall kasi daw luma pa daw yung form na gamit nila when in fact yung form namin ay galing mismo sa NSO. Ang gusto nila ay fill up-an ulit namin yung lumang form nila tapos papirmahan nalang ulit sa mga witnesses. Is it a valid practice? At bakit hindi uniform yung forms na meron sila? Diba NSO dapat ang higher authority when it comes to documents like marriage cert? We're just worried na baka pag inulit namin yung form ay hindi yun ihonor sa NSO kasi hindi na yun yung mismong certificate that we and our witnesses signed during the actual wedding day. Can someone help us? We have until August 22 to file it. We just came back from our honeymoon kaya ngayon lang namin nalaman tong concern na to. Any help and thoughts would be greatly appreciated! Thank you so much! Perhaps try clarifying this with the NSO and/or appealing to the QC City Hall again because this could cost you time and a lot of money especially if some of your sponsors are based in other cities/countries. Do DFA authenticates the Local Civil Registar copy of the Marriage Certificate? I would appreciate so much if you could answer it as soon as possible, because I have to book our plane tickets fast. Thank you for your question Flavio. We did not need to authenticate our documents so we don't have any experience with DFA authentication. Our understanding however is that documents such as the marriage certificate should be from the NSO for DFA to be able to authenticate it. We highly recommend that you call the DFA and/or search their official sites to obtain a more accurate answer. Good luck! Hi, Arcile. We were able to get ours earlier than the 6-month waiting period because we did the tips that we shared on this blog entry. It seems that your local civil registry staff are helping you out though so if they say that you'd get your NSO marriage certificate at a certain time period, then you should. If your friend got his/her NSO certificate in a week, you should ask your friend for tips on how that was made possible. Hello Ma'am, nai-google search ko lang itong blog niyo dahil parehas din ang problema namin sa karamihan dito. Ang sa amin naman. Kinasal kami sa Abu Dhabi, UAE last June 2016. Nasa pinas ang misis ko ngayon, at plano kong i-husband's visa siya dito sa UAE. So kailangan po namin ng NSO Authenticated MC, problema eh 6-months pa ra mula nung date of marriage, maireregister sa NSO database. Ang current status namin, meron kaming Dispatch Number (transmittal from UAE to Philippines), Itatanong sana namin kung may idea kayo, kung saang branch ng DFA pwedeng mag present nung Dispatch Number. Galing na kasi sila ng NSO-QC branch, at ang advise sa amin ay kumuha ng transmittal document, wherein, nandun raw lahat ng reference nos/transmittal nos/, once na makuha daw namin yun, pwede na daw bumalik ng NSO-QC para ma trace yung document kung nasa kanila na o wala pa.
Di kasi sumasagot ng phone call yung hotline ng DFA. Nag approach na rin kami thru e-mail, no response pa rin. May idea po ba kayo kung saang branch ng DFA kami pwedeng mag inquire? Hi, we're sorry to hear about your predicament. However, we neither have any first hand experience in getting married in Abu Dhabi nor did we have the NSO authenticate a marriage that took place abroad. Good luck and we hope you find your answers. We got married December and got our NSO marriage certificate February because we followed up and tracked the status of our marriage certificate. You can check this entry again for tips. The transmittal guarantees that documents have already been sent to the NSO. However, there is no assurance that you'd be able to get your MC right away when you go to the Serbilis Center. BUT the waiting time should not be more than two weeks. Best of luck! Hello I am Darleen, I just got my marriage registered last October 27, day after our marriage which is oct 26. I am searching for the the fast way to get my NSO copy of my marriage certificate for immigration purposes. As for what I see; it may take time to do everything. I want to ask, will LCR can still give me and endorsement letter to get the NSO copy of my MC? And about CFO, is that a requirement for immigration process? My husband is a US citizen. Need an urgent response if possible. Darleen, you can always request the LCR for an endorsement letter and the office alone can decide whether to issue one to you or not. Thank you for your question, Ashley. We're afraid that we don't have the experience to answer your question though. 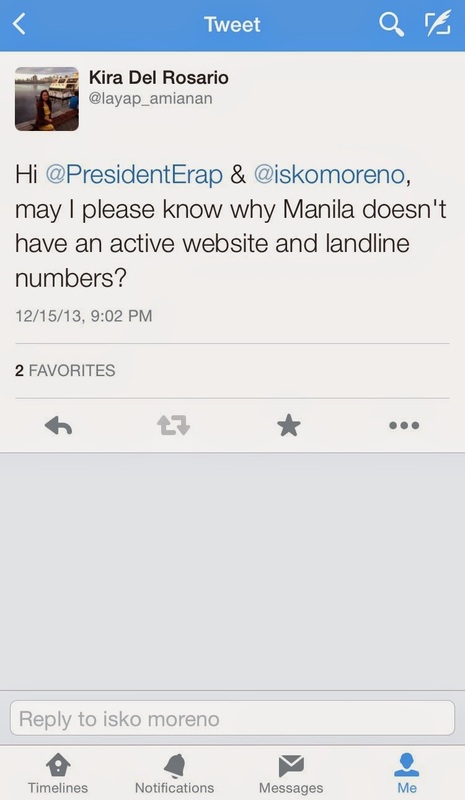 Please call the Philippine Statistics Authority/NSO or send an email to them. Hi how to apply for NEGATIVE CERTIFICATION OF MARRIAGE RECORD? Is it for my husband or for me? im confused. Hi, Joyce. There is a form called CENOMAR (certificate of no marriage) that you can request from the NSO/PSA. This is a requirement for Pinoys applying for marriage license (it makes no sense that the requirement is for your husband since he is Australian). Technically, it should have been a requirement before you married your husband. Hello, good evening! Kwento ko po ung process sa Manila City Hall. Sabi po nila, by batch nila sinasubmit sa NSO ung certificates. Ung advance endorsement po ba eh dapat kong unahan ung batch transmittal? Or process sia after matransmit na ng city hall? Thanks! Daydreamer10, if you already have the batch transmittal number then you can request for an endorsement or you can ask the Manila City Hall about what their process is. Also read item #3 in this blog entry. Good luck. M A K R E ask ko lang kung paano ka nkuha ng MC mo.. kung hindi ngbbigay ng endorsement sa manila city hall..? After our marriage and obtaining an NSO marriage certificate, my wife went to DFA in Manila to apply for a new passport with a new surname on it. However, the DFA wasn't accepting our NSO marriage cert. to process her passport because my citizenship stated "Filipino-American" in the NSO marriage certificate. They said that it should be Filipino Citizen or either US Citizen. She went to the municipal hall where our marriage was submitted to have it fix but they said that the DFA should accept the NSO marriage certificate. How should I fix this? Thank you for dropping by. I think it is legal for Filipinos to choose to be dual citizens so we can't comprehend why your dual citizenship should be an issue but please clarify this with the NSO and DFA. This is what we do know for sure though- if you are a dual citizen, your wife needs to attend the CFO guidance and counseling seminar to be able to take your last name. Hi, I just got married in Philippines last Dec. 27, 2016. And now I'm back here in California and wanted to file i-130 right away. Do I need the NSO MC to file it or is the CTC MC acceptable to file i-130? Thank you for your question. As we have mentioned in this entry, the petition requires the NSO/PSA marriage certificate. Best of luck with your petition. Hi mam, kinasal po kasi ako nun jan. 4,2017 tapos nabasa ko sa ecensus at sa iba rin blog na pwede mag request ng advance endorsement kaso pumunta na po ako sa valenzuela city hall sabi dun ay hindi sila nagbibigay ng ganun permit hintayin ko na lang daw na masubmit nila sa nso district un mga docs which is sa feb 10 to 12 daw. Tapos pumunta ko ng nso district na nasa caloocan pagkapasa daw sa knila e two weeks ako maghihintay kasi esubmit sa nso main. Kaso un lang un kailangan para malakad un ibang papel ko. :( san pa kaya ko pwede lumapit? Thanks for your query. 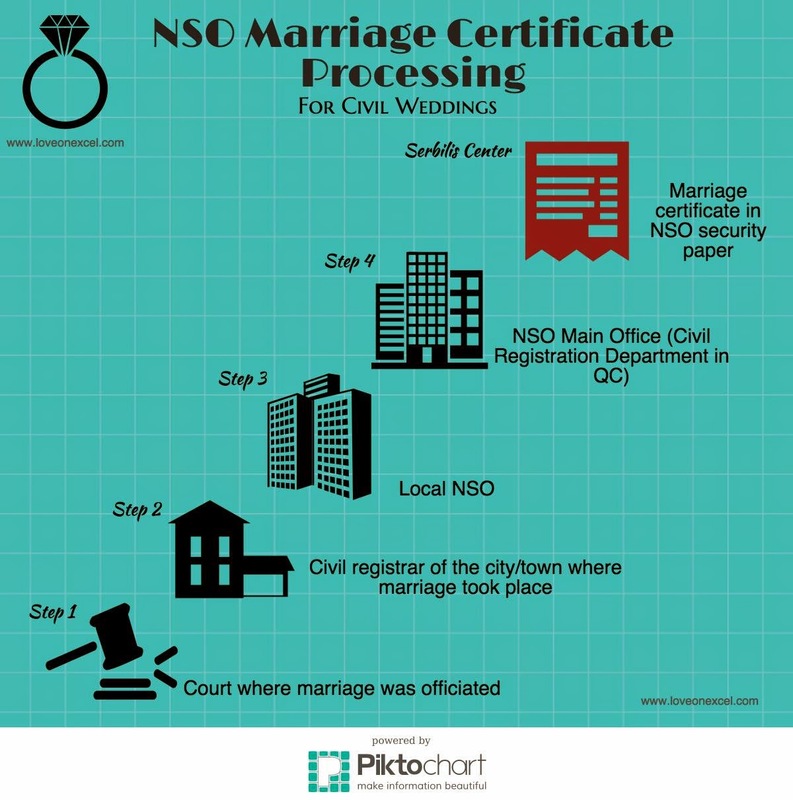 Please refer to the blog entry above for tips on speeding up the processing time of your NSO marriage certificate. Hi po. Naikasal po kami noong Nov. 18,2016 pero hangga ngayon wala pa yung NSO marriage certificate namin, nabigyan po ako ng Transmital paper at ibibigay ko daw po yun sa Nso sa manila. Posible po ba na makakuha ako kaagad ng Nso marriage certificate? Hope to get a reply po. Thank you in advance. Thank you for taking time to post a question. Please take time to read the blog entry above as well as this will already give you the answer you seek. Hello po! Ask ko lang po kung kailangan po ba ng "endorsement letter" kahit meron na pong certificate of marriage from municipal kung saan po kami kinasal kapag binigay po ba sa NSO? At para makuha within 3 to 4month lang po? And need po ba ibigay yung original copy or xerox lang po? Thank you! Hello po ano po ba yang transmittal letter? Ano po ba napapaloob o nilalaman? Hi, Dianalyn. A transmittal letter just shows proof that your marriage certificate has been sent by the local registrar to PSA/NSO. Hi po. We got married in the Philippines but we both had to leave the country shortly after. Nabasa ko yun CFO. Paano if hindi kami nakakuha nung document na yun? Thank you. Hello, Kristine. If you are married to a foreigner, you will need to schedule to attend the seminar the next time you visit the Philippines. You may also want to email CFO to get more information. You can contact NSO office mismo to ask,posibleng meron na yan kasi sa amin after 4 months nakakuha na ako. What I did is that I went to NSO office after 3 months of our wedding sa Cebu mismo to get it kasi makukuha mo agad eh that day pag nakalog na sa database nila pero sa akin pagpunta ko dun hindi pa nakalog so pinabalik nalang ako after 1 month,,when I came back after a month nakuha ko na,pag sa city hall ka magrequest after 1 month pa din yun bago matanggap kasi regular mail lang ang gamit kung nakalog na sa database but if hindi pa nakalog pwede negative yung result. Yung iba kasi naregister ba sa database ng NSO 1 to 2 months kasi nagbayad sila for faster processing yung taga LCR ipa LBC nila mismo sa NSO office para madaling ma register sa database,kaso sa amin hindi kami na inform na pwd ganun kaya naghintay kami for 4 months after wedding bago pa ako nakakuha. You can order also online sa NSO helpline may website sila PSA na ngayun ang NSO after 3 days mareceive mo na basta nakaregister na sa database talaga.You can call directly first the regional office of NSO if nakalog naba sa database kasi machecheck na nila yun yun din ginawa ko pag meron na tsaka kapa mag order,search mo lang NSO regional office nyo tawagan mo at magtanong ka anong numbet pwede mkapagpacheck sa database yung marriage certificate,sa akin sa Cebu office. hello~i just got married recently last dec 6.. i got an advance endorsement of certificate of marriage on dec 11..however,the LCR told me to go to NSO after a month..Will i get my MC in NSO after that?or do i need to wait again? My concern is i've already booked an appointment for CFO and DFA this feb..I'm afraid that I can't get my NSO copy of MC..
Hi Twee. I hope this reply would still be useful (albeit very late). If you don't have your NSO MC yet, can use the certified true copy of your marriage certificate, which you can get from the city hall where you registered your marriage. Wrong I've found that the certified true copy of your marriage certificate from the LCR means nothing it's useless DFA,CFO,nor will the Embassy accept this document we've been told that a PSA marriage certificate will take 6 months to 1 year to show up at NSO offices. Hi po,, kinasal din po kami ng asawa ko last Dec 27, 2017..I already got the certified true copy of MC from local registrar..when ko kaya pwde ko kunin ung PSA-NSO marriage certficate nmin? by march 27 2018 pwde n kaya? tagal po kasi ng 6 months ei..
hi, i found the following guide and wondered if anyone also tried it and worked?